Bethesda will release a free Fallout 4 high-resolution texture pack for PC next week, listing an 8GB RX 490 as their recommended GPU for the new game version. On the Nvidia side, the GTX 1080 is listed as the game's recommended GPU for use with the game's high-resolution texture pack, with Bethesda quickly deleting their reference to the AMD's 8GB RX 490 quickly after their press release went live. 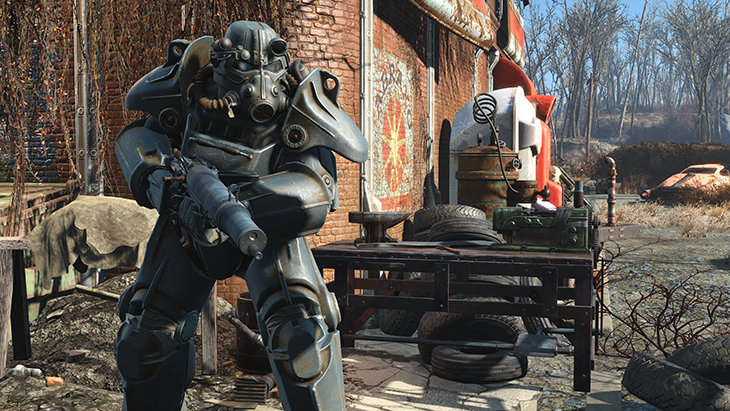 On the PS4 Pro, the game will also be receiving an update which will offer gamers enhanced visuals in Fallout 4, offering a resolution of 1440p, enhanced draw distances for trees, grass, objects, NPCs and enhanced God Ray effects. Below are the PC system requirements for Fallout 4's new High-resolution texture pack, though Bethesda has since deleted the reference to AMD's RX 480. Bethesda has also stated that the game will require 58GB more storage than the base game, which will dramatically increase the game's size on your HDD or SSD. With this new update, the Commonwealth of Fallout 4 will look better than ever, though only for those that have large banks of GPU VRAM and a lot of additional storage space for large textures. You can join the discussion on Bethesda's Fallout 4 High-resolution texture pack and the DLC's RX 490 GPU requirements on the OC3D Forums.